This exploration of the influence of Mayan hieroglyphics on the great American poet Charles Olson (1910–1970) is an important document in the history of New World verse. Olson spent six months in the Yucatan in 1951 studying Maya culture and language, an interlude that has been largely overlooked by students of his work. Like Olson and Robert Creeley, Olson’s disciple who published Olson’s letters from Mexico, the poet Dennis Tedlock taught at the University of Buffalo. Unlike his two predecessors, Tedlock was also a scholar of Maya language and culture, renowned for his translations from indigenous American languages, notably the Popul Vuh, the Maya creation story. 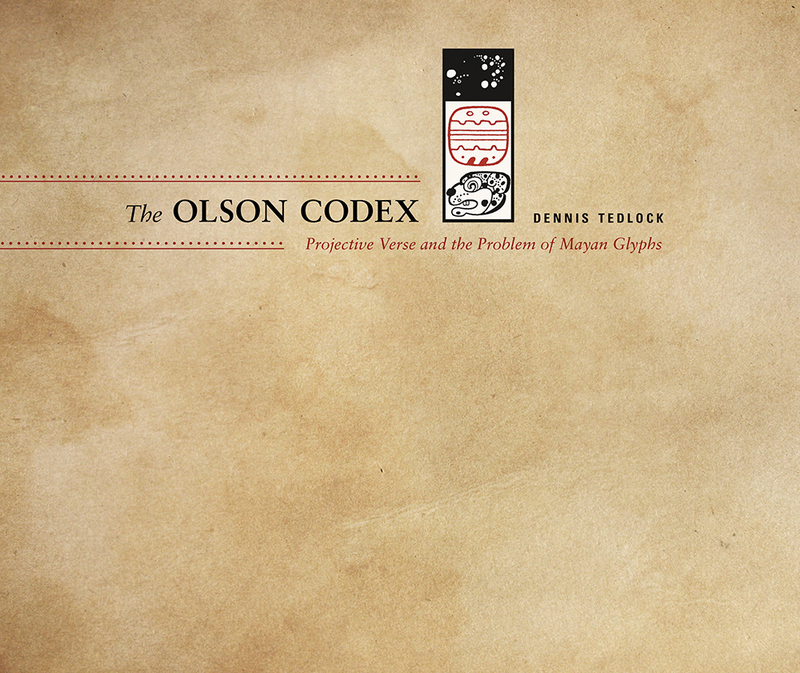 In The Olson Codex, Tedlock describes and examines Olson’s efforts to decipher Mayan hieroglyphics, giving Olson’s work in Mexico the place it deserves within twentieth-century poetry and poetics. Dennis Tedlock (1939–2016) was the McNulty Professor of English and Research Professor of Anthropology at SUNY at Buffalo and a research associate at the Museum of International Folk Art in Santa Fe. He and his wife, noted anthropologist Barbara Tedlock, were awarded the American Anthropological Association President’s Award for their work and leadership for the journal American Anthropologist.